Order your impregnation agent, cleaning agent and brightener for your tent, boat cover, convertible, caravan or boat here. Recommended for years by experts, water sports enthusiasts and campers like you. Canvas & Cotton Protector is a very strong impregnating agent for cotton and canvas. Makes cotton tent cloth waterproof and dirt-repellent. Do not dilute. Easy to apply with plant sprayer. Perfect for a safari tent, teepee or folding tent trailer. Super strong Sail & Spinnaker Coating protects your yacht sail from dirty water, mould, green deposits, mosquitoes and other soiling. The sail stays dry. New sailcloth stays clean for much longer! Gives old sails a second life! Ultramar Power Cleaner is a super-strong cloth cleaner. For when nothing else works. 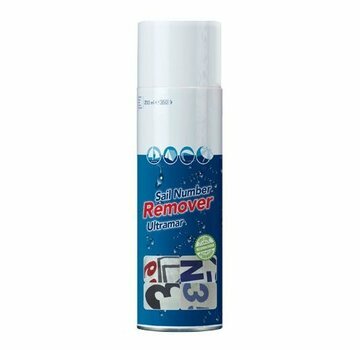 Removes heavy soiling and deeply penetrated stains from your boat cover, tent or convertible top. For the best results, always clean with Sprayhood & Tent Shampoo first. Rust Remover removes rust stains from all types of textiles. Specially developed for removing rust from outdoor cloth, such as a sail, boat cover, tent or convertible top. Easy to use. Fine sprayer EX10: with this sprayer, it is very easy to properly distribute cleaning or impregnating agent over large pieces of cloth. Ultramar Brush: this brush is strong enough to remove dirt. And at the same time, soft enough not to damage the canvas or sail. Mask: this mask protects you from inhaling harmful gases. We especially recommend this mask when using Ultramar Sail & Spinnaker Coating and Ultramar Kite-Refit Coating.